Choosing a long-term care community can be a daunting task. Which one will give the best support to your loved one? Which one will provide the best quality of life? The task only gets more complicated when it comes time to tour. Here are some tips to help you get everything you need out of a tour to find out if it’s a good fit for your loved one. Do as much research as possible beforehand. Thanks to the Internet, it’s incredibly easy to pre-screen communities from the comfort of your couch. Before you head out to a tour, visit their website and read reviews from families, residents and the team. Is the facility certified, and does it follow all rules and regulations required? What levels of care does it provide? What sort of living arrangements do they have, and what enrichment activities are available? Come prepared with questions. Create a checklist of questions that you can take along with you on each tour. They can range from standardized questions (what types of therapies are available? How often does housecleaning come through? Are there religious services available for all faiths?) to ones that are specific to each community (tell me more about the Seven Dimensions of Wellness). Inspect the facilities. Are the surroundings well-maintained? Are there security features in place like grab bars, emergency call systems and others? What do the outdoor grounds look like, and are they accessible and secure? Are living areas well-lit and maintained? Does it smell fresh and clean? Is the team friendly and engaging with residents? Do residents seem at ease, happy and cared for? Your senses will help you get a feel for what life is really like at the community. Stay for a meal. Food and mealtimes play a hugely important role in the life of a care community. On each tour, arrange to have lunch or dinner in the dining area so you can take in the atmosphere. Are residents enjoying the food, and is there good interaction between them, the team and their peers? How is the food served? How does it taste? Is assistance being provided for residents who need it? Take part in an activity. The best communities provide a plethora of engaging events and meaningful activities for their residents. Check out the activity calendar to see what variety they offer. Does the activity department talk to the residents and take their personal preferences and interests into consideration? Are there plenty of off-site and outdoor options? If possible, take part in an activity that’s going on while you’re there and see how engaging and well-attended it is. Get a feel for how “homelike” it is. Facts and figures are all very well, but the atmosphere is just as important. Does it feel like an actual home, or is it more clinical? Do the recreation and living spaces feel warm, open and inviting? Are residents able to bring personal furnishings and belongings to make their new place their own? Are there plenty of spaces where residents can get together and enjoy each other’s company? Talk to residents. The best information you can get will come from the individuals who live there themselves. What are their favorite parts about living there? What would they like to see improved? This also gives you or your loved one the opportunity to find out if there are potential neighbors with things in common who could quickly become friends. “We understand that life is all about choices,” says Basile. 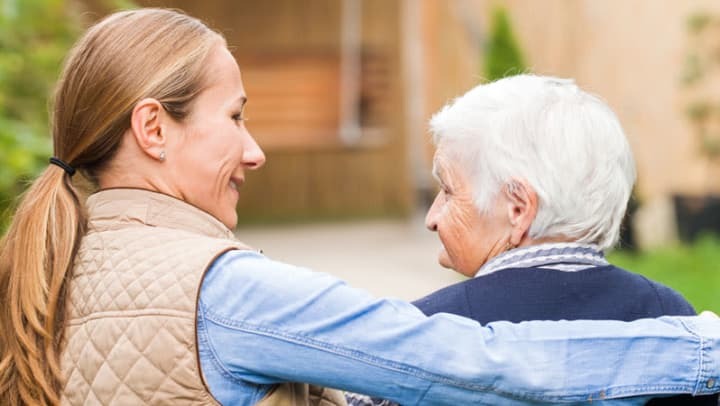 “We also know that the choice of a long-term care community is a big one, which is why we are honored whenever an individual chooses to become part of our family. We are committed to providing the best possible home for our residents, which is why our Life Plan Community is structured to care for you always, no matter how your health needs change. Welcome to The Columbia Presbyterian Community, a 30-acre Life Plan Community on the banks of the Saluda River just minutes from downtown Columbia and Lexington, South Carolina. From gorgeous green spaces, walking trails, gazebos and the river boardwalk to refreshing indoor retreats – our stained-glass chapel, common spaces and elegant apartments – you’ll discover the charm of southern hospitality in every inch of our community. The Columbia Presbyterian Community is a Life Plan Community, offering a wide range of senior lifestyles and services including independent living, assisted living, memory care, skilled nursing care and short-term rehabilitation. All living options are designed to present residents with the dignity and choice they desire. We believe a Life Plan Community should allow future planning and living to merge. Having a plan in place – and the security of access to a continuum of health care services – grants residents the freedom to live life to the fullest. As one of the Presbyterian Communities of South Carolina, The Columbia Presbyterian Community is a compassionate Christian ministry committed to enriching the quality of life for seniors of all faiths. Built on the values of relationships, service, teamwork and excellence, we ensure our mission and faith are honored daily. While striving to create the highest quality of retirement lifestyles for our residents, we work each day to enrich the spiritual, physical, and emotional well-being of seniors and their families, with our deep heritage leading the way. Learn more about The Columbia Presbyterian Community. Contact us today!